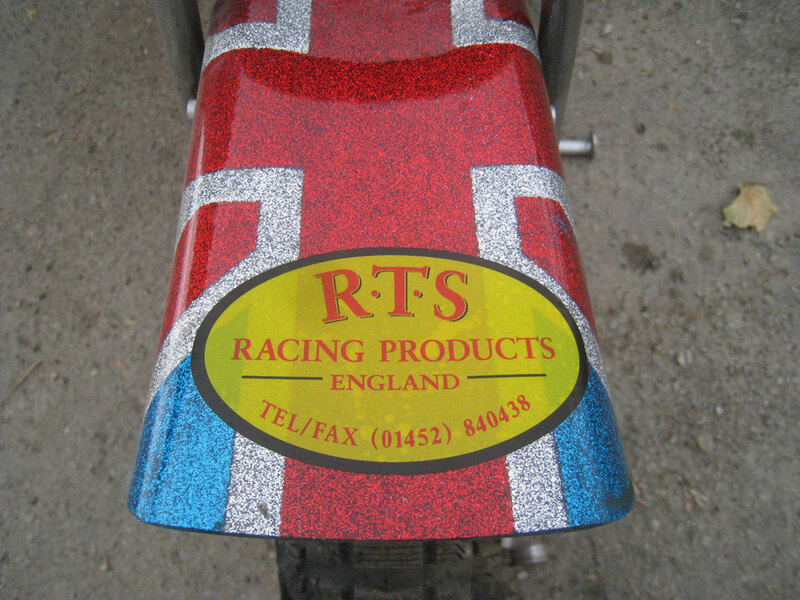 RTS Racing Products Twin Carb Viper. 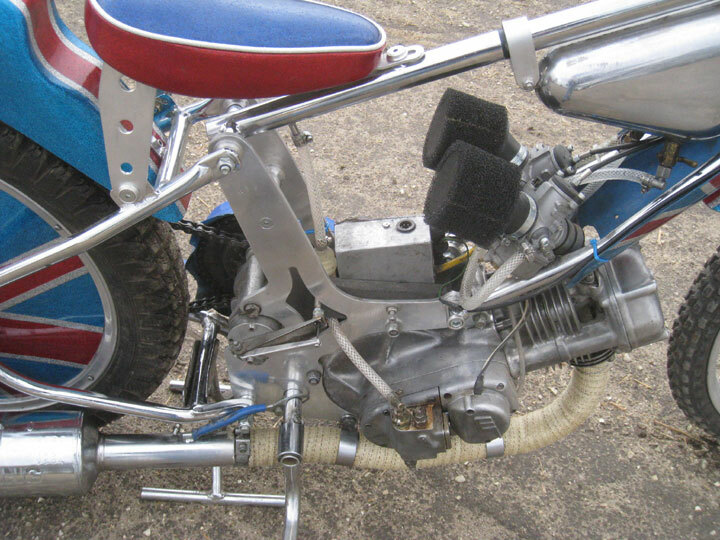 We supplied the chassis and twin Dellorto 26s with custom manifold for this interesting machine. 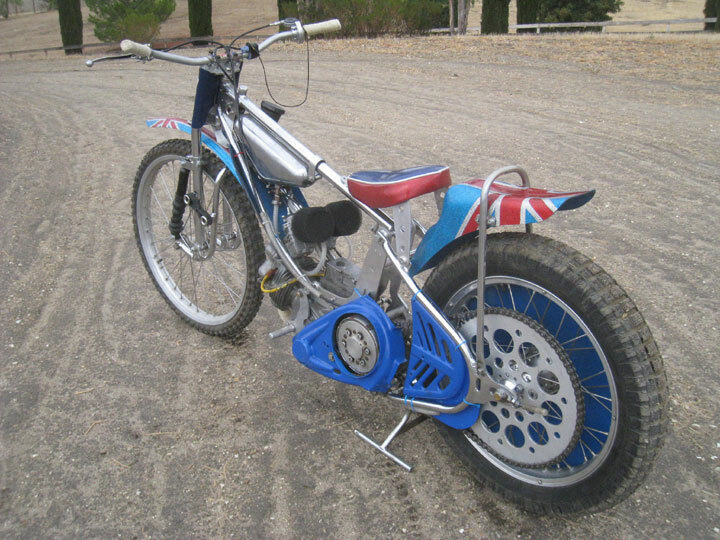 Californian customer ex-patriot Malcolm Roe was a neighbour of the famous Collins Clan in the 1970s. 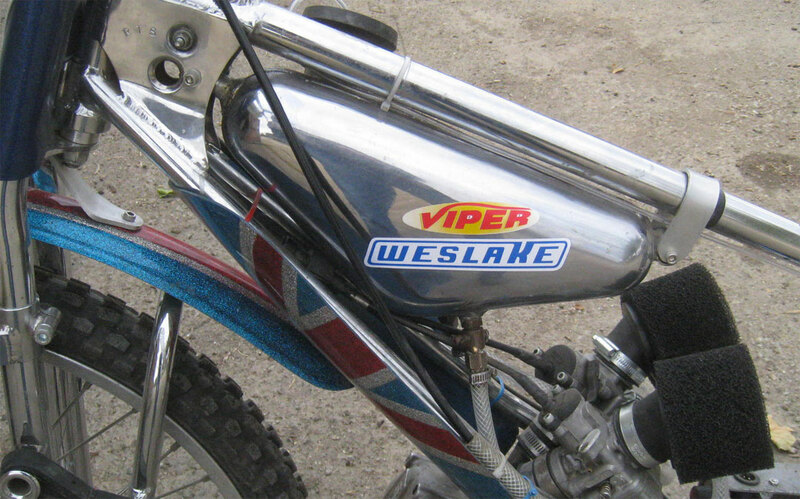 His goal was to build an interesting Weslake that could have been built in that time period. 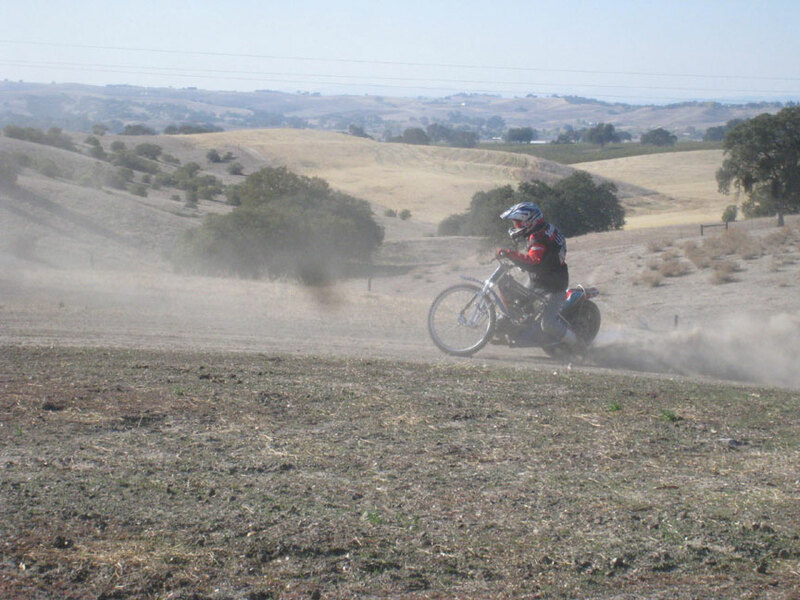 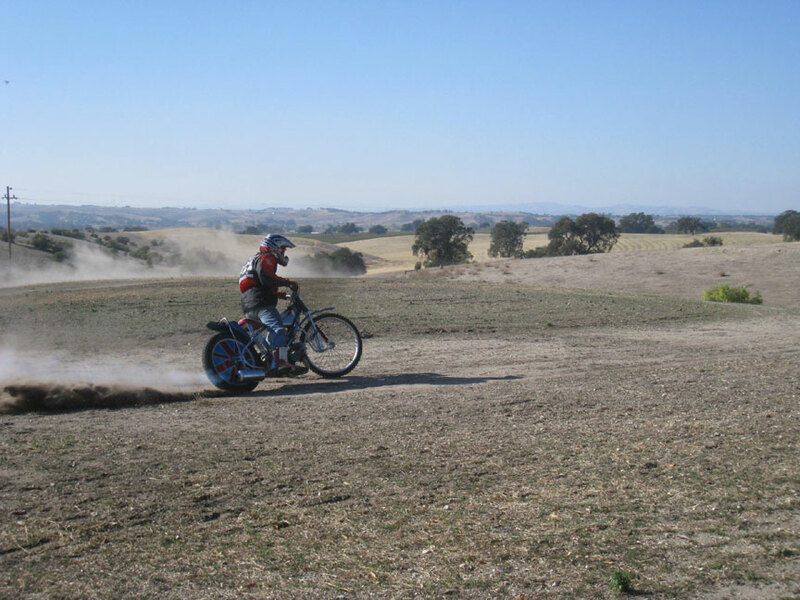 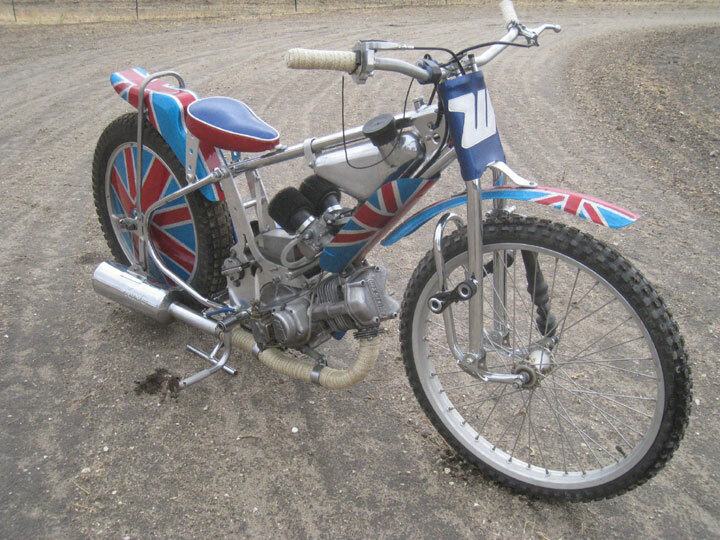 The bike was not just for show, it had to run and be good enough for racing. 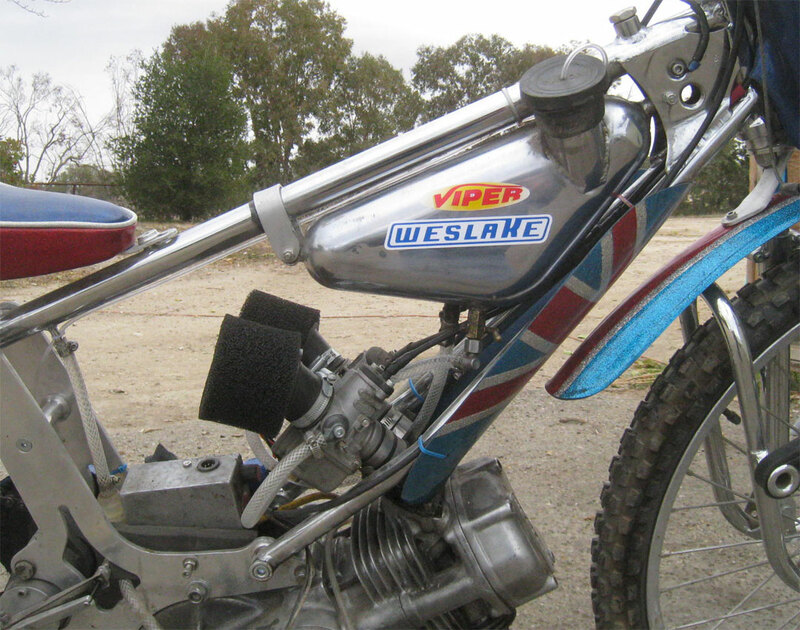 Malcolm has already built one retro look Weslake using an RTS Viper as a starting point. 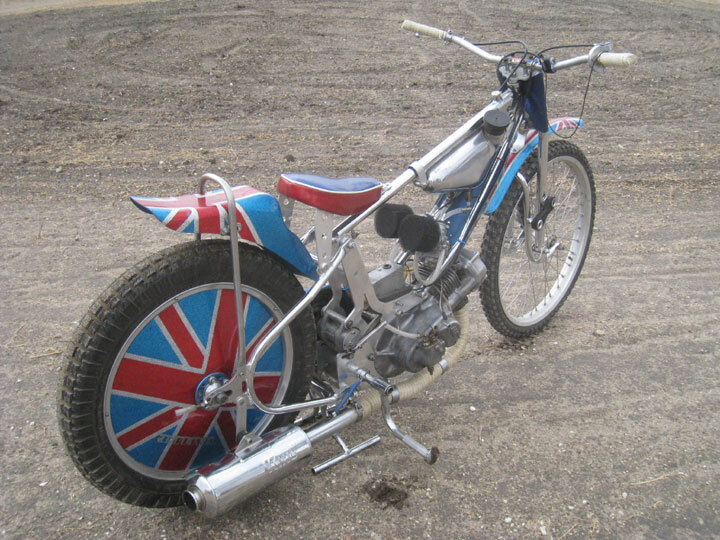 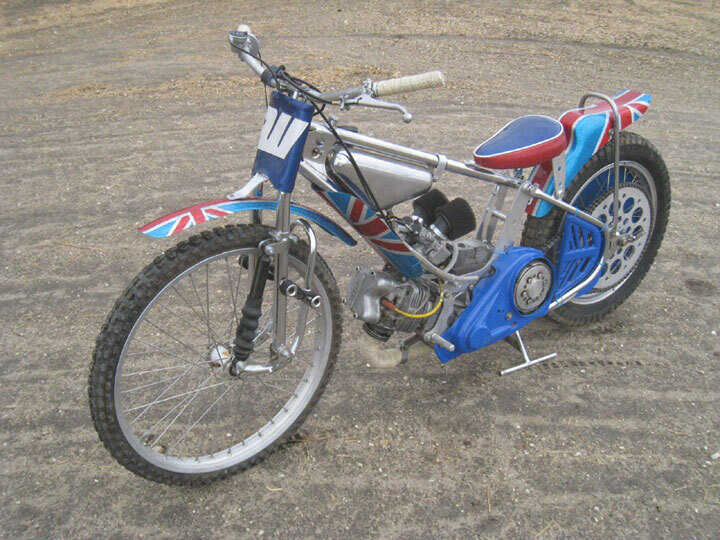 Peter Collins used a Weslake with twin carbs as did Malcolm Simmons and others Laydowns had been tried by Wal Philips, Briggo and Jerry Fairchild in the States. 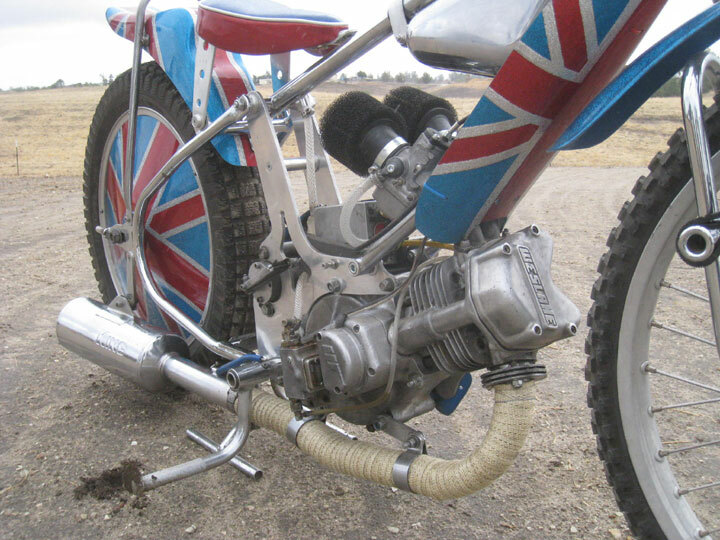 Using two upright carburators on a laydown is unusual but works. 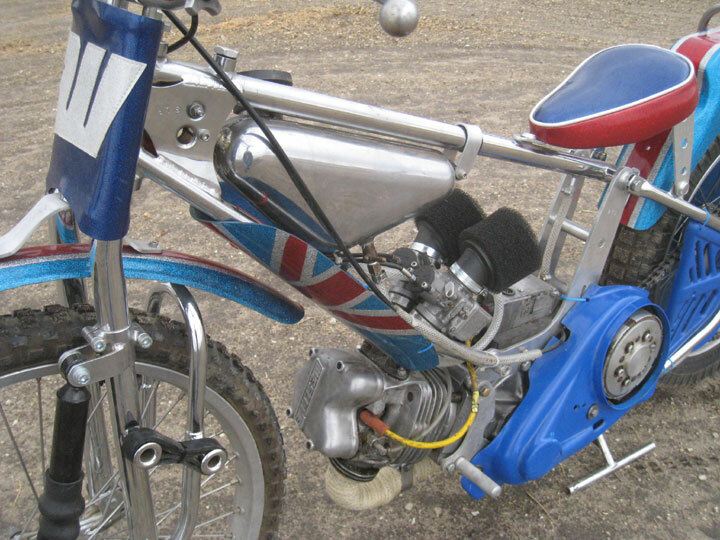 Here is a short movie of the machine ticking over.